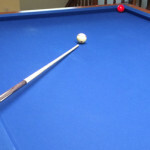 THE PARTYPOKER.NET World Cup of Pool will be making a welcome return to the Manila next month as pocket billiards’ premier international team event takes place for the seventh time. Scheduled to run from Tuesday 4th to Sunday 9th September, the World Cup will be at its 2010 venue at Robinsons Place Mall in Ermita. There are a total of 32 teams competing with 31 nations represented – host nation the Philippines has two sides in the event. The defending champions are Germany as Ralf Souquet and Thorsten Hohmann attempt to become the first team ever to retain the title. Once again the total prize fund is US$250,000 with $60,000 going to the eventual champions. Tickets for the extravaganza will be available at the venue on the day of play but with plentiful balconies offering superb views of the playing arena, organisers are anticipating crowds in the thousands rather than hundreds. 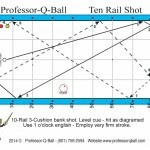 The 2012 World Cup of Pool is sponsored by PartyPoker.net, the world’s leading online poker school. 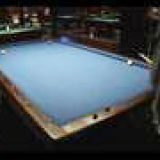 Cloth is supplied by Iwan Simonis, Super Aramith balls by Saluc, tables by Diamond Billiards and the Official Cue is Predator.